Hazards in the roadway: Roadway hazards are everywhere. Bikers should always remain vigilant to not only look for careless drivers, but to also keep an eye out for road hazards. If you’re cruising down an unfamiliar road, drive slower as you never know when you may come across a pothole or some other defect in the roadway. Approaching unexpected curves: Approach corners and unfamiliar roadways at a reduced speed. Take a wide swing with the bike to allow better vision of any oncoming traffic. If you approach a turn at a faster speed than you intended, don’t panic, brake gently and take the bike into the curve. The bike’s weight may give it the ability to handle the curve better than you think. A car crosses over in front of you: Motorcyclists have to be extra vigilant in these situations as motorcycles can go undetected in a driver’s blind spot much easier than another car. Therefore, look for telltale signs of lane changing such as turn signals, turning wheels, or a driver operating erratically as though he’s anxious to change lanes. Also, you may notice the driver checking his rearview mirror in anticipation of a lane change. Being struck from behind: Stopping abruptly increases your chances of being struck from behind — a common form of motorcycle collisions. One way to avoid being rear-ended is to pull your bike in front of an already stopped car in an adjacent lane. The driver of the car may become irritated, but a friendly wave should alleviate any potential hostilities. If that is not possible, then keep your bike in gear and your hand on the throttle, all the while keeping a watchful eye on what’s coming behind you. 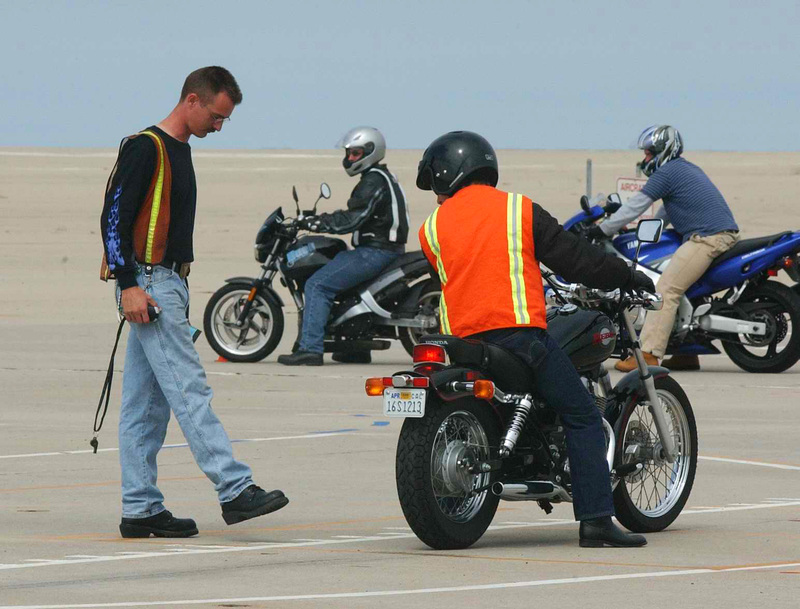 Riding with a careless biker: Unfortunately, there’s very little you can do if someone is intent on ignoring biker safety rules; but, if you’re riding in a group, be sure to go over rider etiquette with them before heading out. For example, it is better—and safer—if the group rides in a staggered formation, rather than side-by-side. Share the road: With spring and summer months motorcycles are everywhere and all motorists should always “share the road” and to be extra alert to help keep motorcyclists safe. 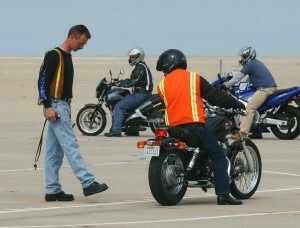 Motorcyclists are also reminded to make themselves as visible as possible to other motorists. Always ride sober: According to the NHTSA, statistics show that the percentage of fatal crashes involving an intoxicated motorcycle rider is higher than that of a fatal crash involving intoxicated automobile drivers. Stay safe, don’t drink and drive. These rules and statistics may be obvious enough, but they could prove invaluable when it comes to taking your motorcycle onto a crowded highway. Remember to always be responsible and respectful when riding. Following these safety guidelines will help ensure everyone can enjoy their time on the open road. For more NH motorcycle safety tips click here.